The art of selling welding supplies is a mystery to me, but it’s the family business, and I’ve dove headfirst into it. Ttha brings me to the cylinder audit and that is what brought me to Louisville, MS. Louisville was just the start as I was destined to keep traveling on to Starkville, Mayhue, West Point, & the metropolis that is Scooba, Mississippi. But as fate would have it, I arrived in Louisville and found out that I had time to burn. On the recommendation of company driver at the Louisville branch, I made my way to Mary Lou’s Biscuit Bar. I’m going to be brutally honest, there’s not much to this place, and without the recommendation, I would have never given it a second glance. But, I didn’t have anything else to do, so I strolled on in. 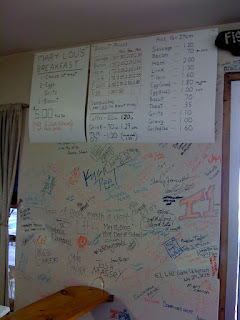 There wasn’t a chance in hell that you could call this place pretentious, but that’s a pretty good looking breakfast menu. I decided to give the Mary Lou’s breakfast with sausage a try, but then I looked left and saw their display case. 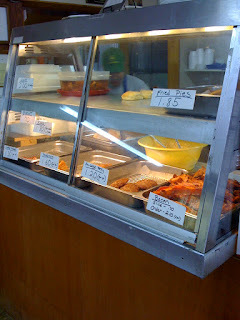 Now that I look at the picture, I can’t believe I missed the sign for fried pies. I wonder if they were meat pies, fruit pies, or some sort of pie I’d never heard of, but at that time I decided to add some bacon to my breakfast plate. One can never have enough pork on his plate. 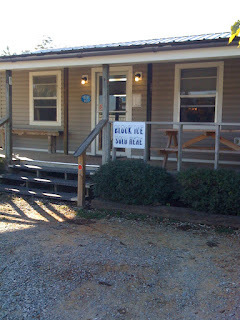 After ordering I saw a framed copy of Southern Living above the kitchen entrance, nicely complimented with a good plaque proclaiming Mary Lou to have the best biscuits in Mississippi. 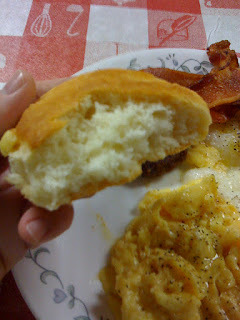 I’m not too much of a biscuit person, I’d rather have more grits or meat than fill up on a biscuit. This plate was a solid breakfast, though, and that biscuit did look really good. I took a big bite and was pleasantly surprised. It had a dense, yet light texture, and the distinct twang of buttermilk. On to the rest of the plate! The eggs were a little runny, but I’d rather have runny eggs than the dried out protein nuggets you get at most buffets. 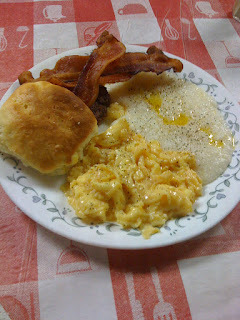 The grits were fantastic, granted that could be because they were had pools of butter in them. The bacon was nice, salty, and crisp. It went perfectly with the sausage patty. Two parts of the pig working hand in hand to make a great breakfast, it’s inspiring. On the way out I noticed that the door to the kitchen was open. I love it when a restaurant isn’t afraid to hide their kitchen. In fact, my grandma always told me that I shouldn’t trust a restaurant that tried to hide their kitchen. 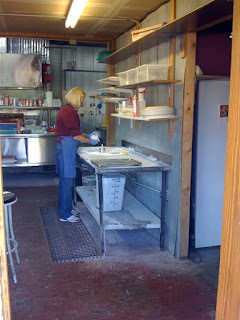 That nice woman in the picture was expertly making the famous biscuits, and was very courteous, though a little perplexed as to why I kept trying to peek in through the door. 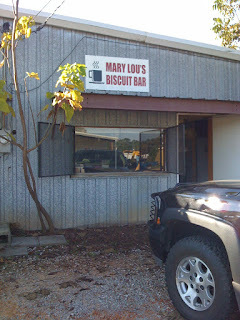 Mary Lou’s Biscuit Bar was a nice treat, and made my wait in Louisville worthwhile. I doubt I would go back just to get more biscuits, but if I find myself in town near breakfast time, I wouldn’t hesitate to hit up Mary Lou’s. It was a pity that Mayhue, West Point, and Scooba couldn’t offer up such a treat.